Making and selling methamphetamine is a business of personal ties. 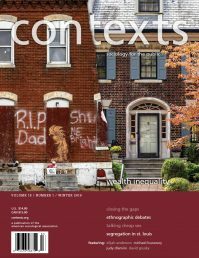 Henry H. Brownstein, Timothy M. Mulcahy, Bruce G. Taylor, Johannes Fernandes-Huessy, and Carol Hafford provide a nuanced understanding of meth markets, from mom-and-pop to import markets. Henry H. Brownstein is a Senior Fellow in the Substance Abuse, Mental Health, and Criminal Justice Studies department (SAMHCJ) at NORC at the University of Chicago. Timothy M. Mulcahy is a Principal Research Scientist in the Economics, Labor, and Population Studies department at the University of Chicago. Bruce G. Taylor is a Principal Research Scientist with NORC at the University of Chicago in the Substance Abuse, Mental Health, and Criminal Justice Studies (SAMHCJ) department. Johannes Fernandes-Huessy is a Research Analyst in the Economics, Labor, and Population Studies division at NORC at the University of Chicago. Carol Hafford is a Senior Research Scientist in NORC's Economics, Labor, and Population Studies department at the University of Chicago.